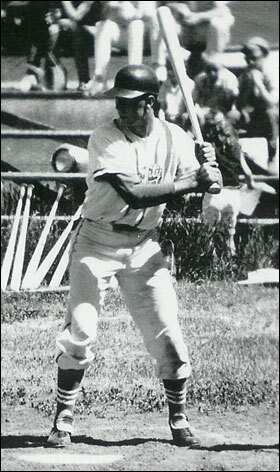 Lionel Ruhr). 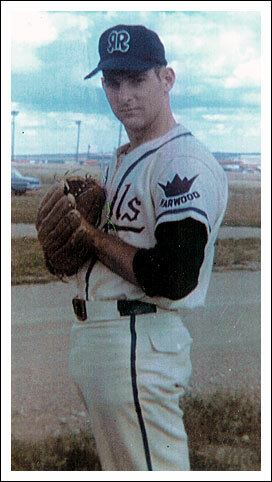 Player ID provided by Al Ash (long-time Regina Red Sox pitcher). 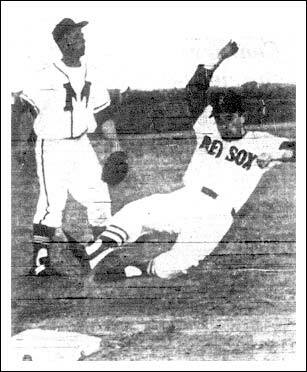 Above left - Moose Jaw Regals' catcher Larry Tollefson slams one of Regina Red Sox' pitcher Ken Simon's offerings over the left-field wall but foul by inches in the 1966 Southern League final series. 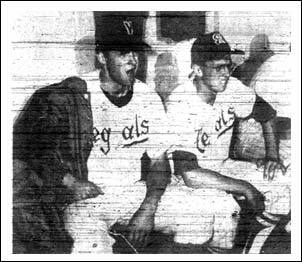 Above right - John Fisher & Ivan Gutfriend watching game action from the Moose Jaw Regals' dugout. 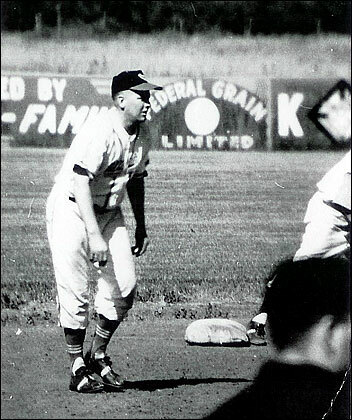 Left - Moose Jaw Regals' third baseman Jim Booth singles to drive in a run in a playoff game against the Regina Red Sox. 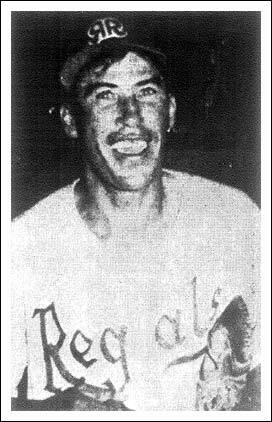 Above left - Playing-manager Mike Dayne of the Moose Jaw Regals celebrates following the Regals' triumph over the Regina Red Sox in the Southern League final series. 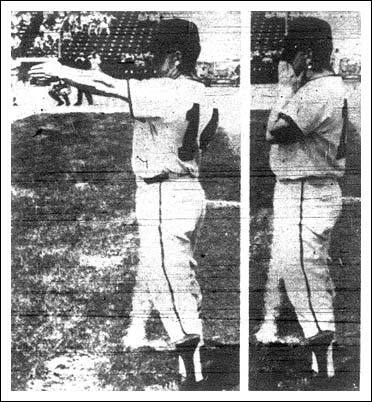 Right - Regina Red Sox playing-manager Lionel Ruhr directing runners from the 3B coaching box. 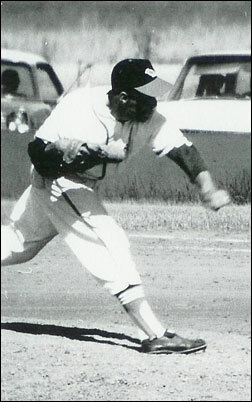 Left - left-hander Wayne LeBere was one of the most feared hurlers in the history of the Southern League. 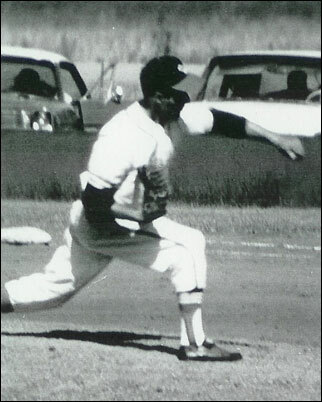 During his many years in the circuit with the Moose Jaw / Rowletta Lakers and then the Moose Jaw Mallards / Steelers / Regals / Devons, Wayne was named the loop's top pitcher in 1960, 1963, 1966 and 1967. 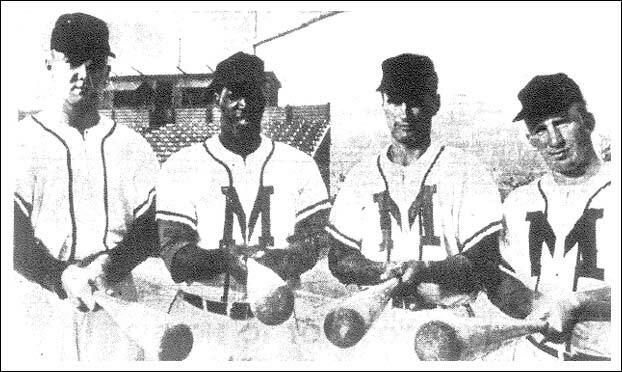 He was also the MVP in 1966. 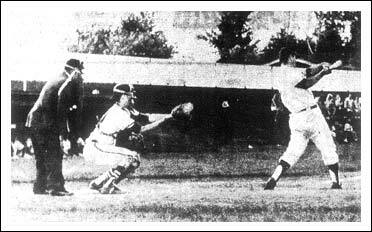 Above right - Jack Buch of the Regina Red Sox slides safely into 3B while Gord Nelson of the Melville Millionaires watches helplessly with no throw coming. 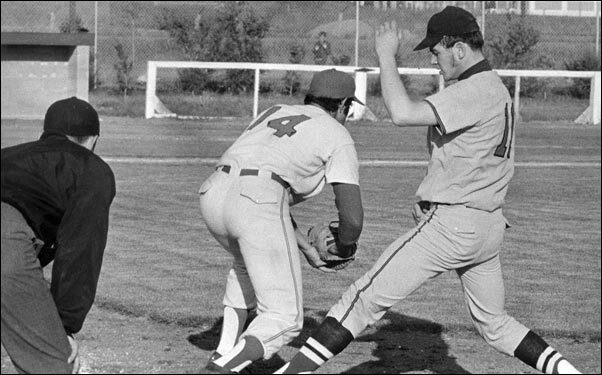 Left - Moose Jaw Regals' first baseman Brian Keegan takes a pick-off throw from pitcher Wayne LeBere as Ron McKechney of the Swift Current Indians dives back safely. 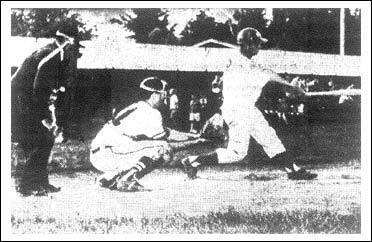 Lyle May, Unity Cardinals, ready at the plate (left). 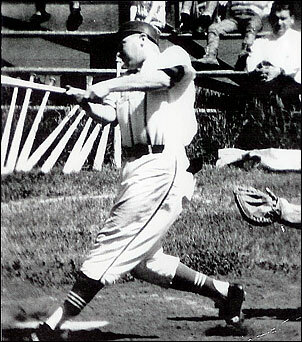 Right - Irl Flanagan, on base, taking a lead. 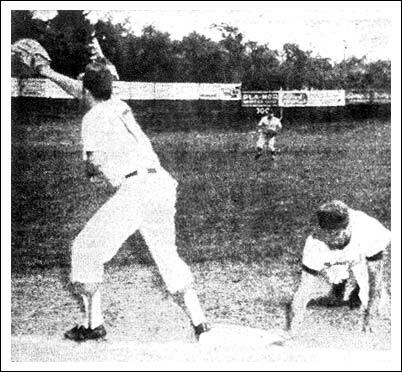 Ross Stone, ace lefty of the Unity Cardinals, in action. 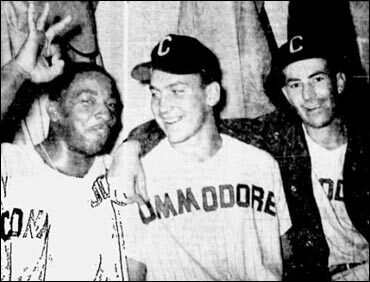 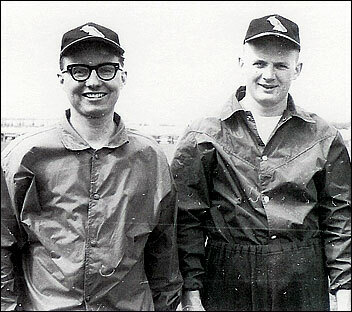 Left - Don Poindexter celebrates a victory with Cliff Koroll (centre) and Len Breckner. 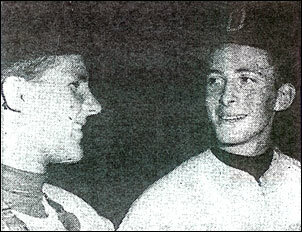 Right - Saskatoon Commodore rookie battery mates, catcher Bryant Bogren (left) and pitcher Ron Fyfe (right) are all smiles after a winning effort.